Cast from polymer material, this cultured urn offers a tasteful urn at an affordable price. 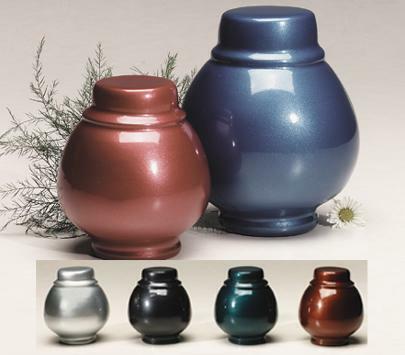 This urn is available in your choice of Rose, Blue, Silver, Black, Teal & Brown. Also available in smaller dog or cat size. Please make your color choice before placing in cart. Closure: Bottom opening stopper seals with included adhesive.